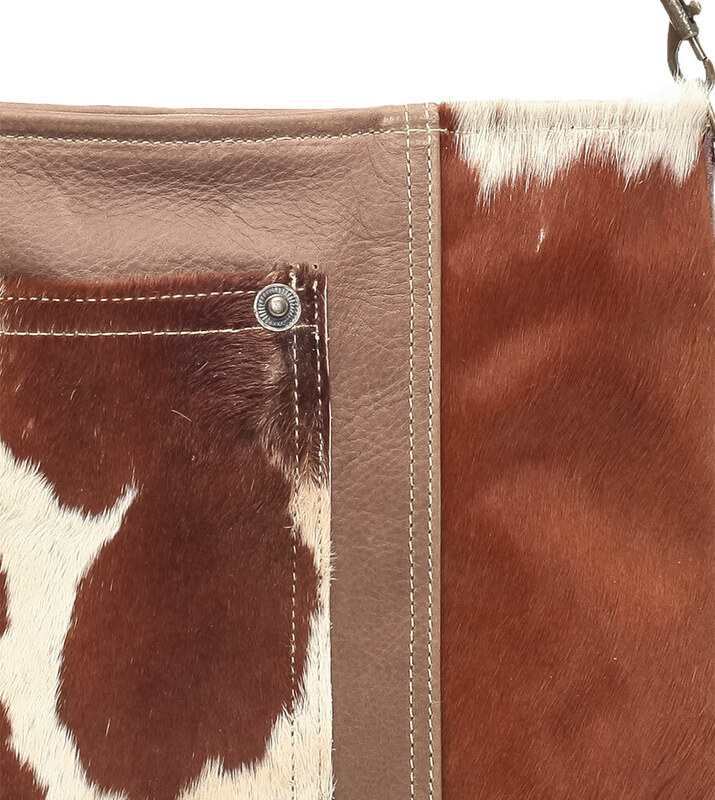 Brown cowhide shoulder bag. 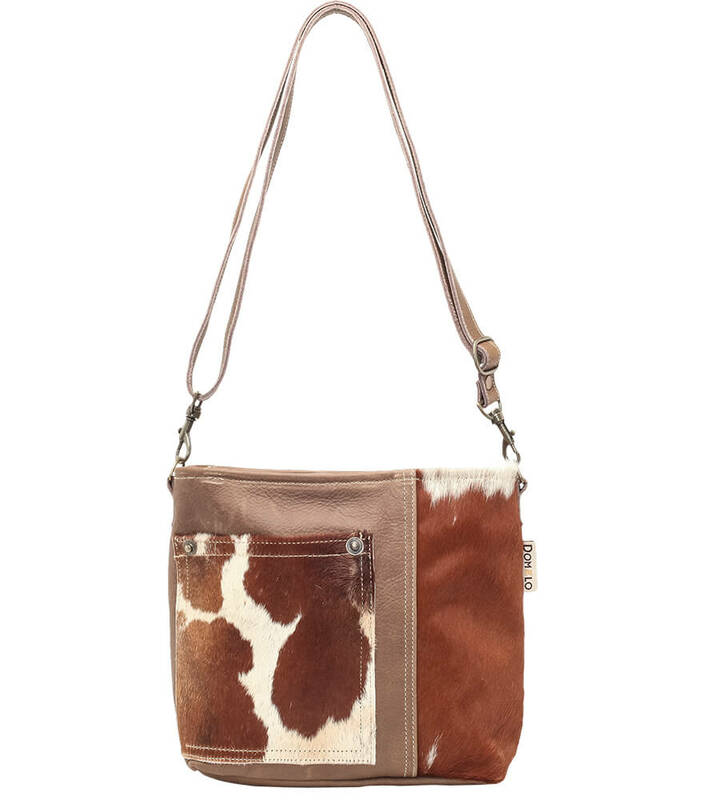 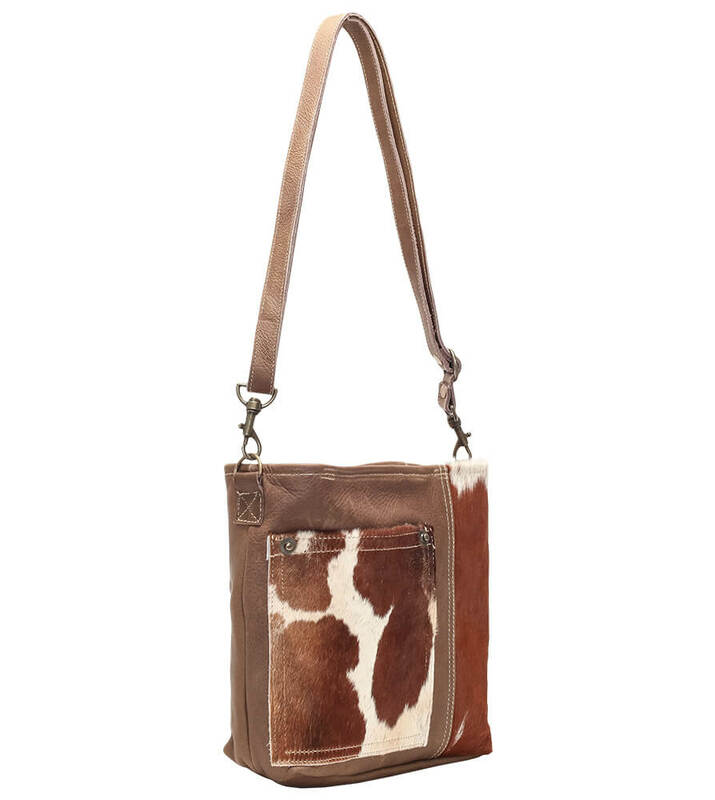 Heads are sure to turn when you walk down the street with this brown genuine cowhide shoulder bag. 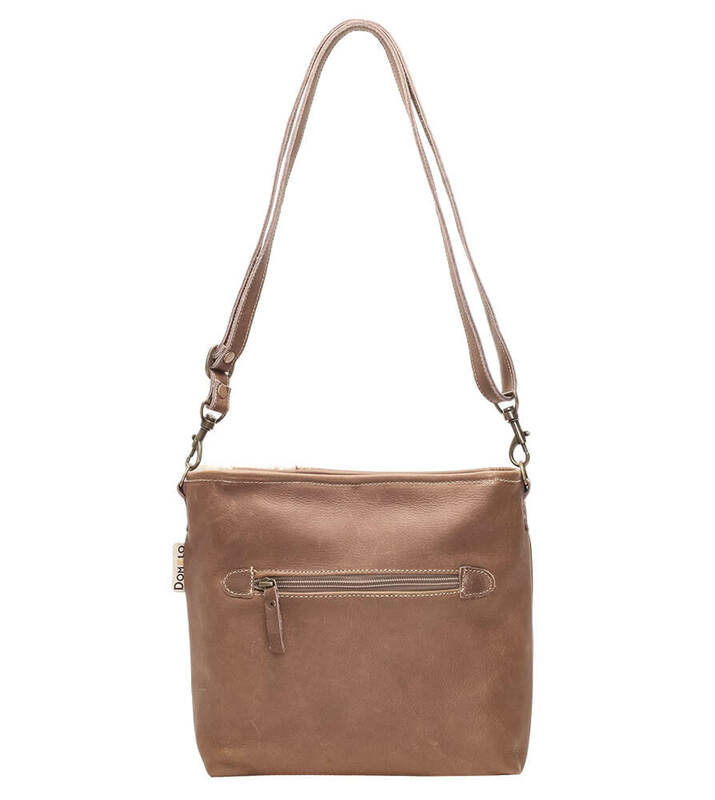 This striking bag comes complete with a detachable shoulder strap to give it a versatile look as well as separate zipper compartments both on the outside and inside. 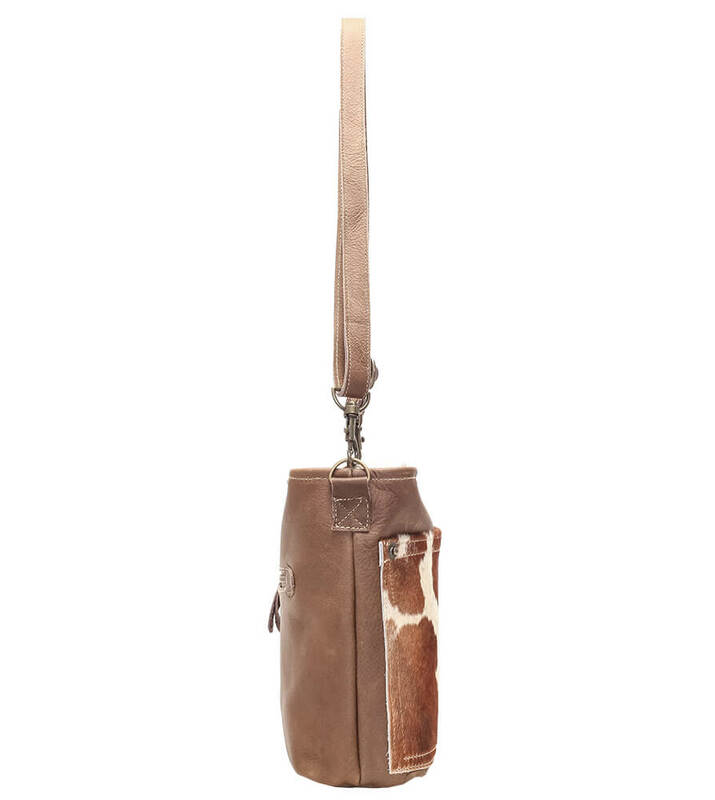 It serves as a perfect accessory to Oktoberbest.